In Circus Flohcati, players try to complete sets of cards before the game ends. A player begins her turn with several face-up cards to choose from. If she doesn’t like them, she can draw another, but if a card gets turned up that matches the suit of one of the other face-up cards, she loses her turn. She can continue drawing until she likes one or it matches. Also during her turn she can combine three cards of the same value and lay them down in front of her; such sets will be worth 10 points at the end of the game. Additionally, the highest card from each suit in her hand contributes its face value to her score. 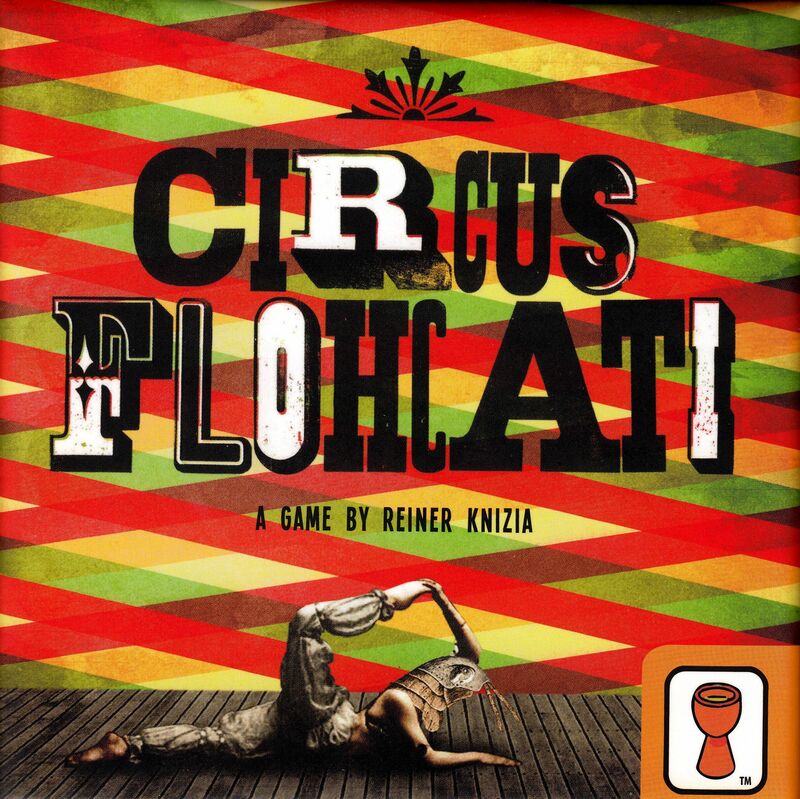 Most editions of Circus Flohcati bear a player count of 3-5, but the 2016 edition from Grail Games boasts a 2-5 player count with no changes to the rules. Game #5 in 'The Mike Line' of games from Grail Games.